Literary fiction, journalism, how-to, psychology, self-help, crime fiction, young adult, science fiction and fantasy, true crime, current affairs, nature and science, military history, forensic science, travel and adventure. 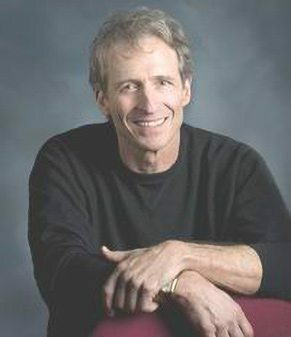 Michael Carr is an editor, writer, and translator with some 400 book title credits, working for authors and major publishers including Time Warner Books, Penguin Putnam, Little, Brown and Co., Hachette Book Group, Palgrave Macmillan, United States Institute of Peace Press, and many others. Michael has edited a dozen New York Times best sellers and another dozen Wall Street Journal, Los Angeles Times, international, and Amazon best sellers. Please Note: Michael only accepts manuscripts that have agent representation and are being considered by traditional publishing houses. David Dempsey, Better to Best: How to Speak for Extraordinary Results &Every Time! “Michael Carr did a great job cutting the fat and increasing the tension. I imagine there are a lot of good editors who deal effectively with sentence-by-sentence editing for typos, spelling, grammar, and punctuation, but a gifted editor puts fresh eyes on a piece of fiction and sees problems and stylistic opportunities that the author misses. Carr is a gifted editor. The story was all there when I sent it to him, but when I got it back, less had become more-the prose was so much cleaner and clearer. Before, it moved; now it races. Judicious cutting also added to consistency of voice and thereby to dramatic unity. Even though I had written the book, I got deeply into reading the edited version because I wanted to know what happens next. I was so engrossed, I forgot that I already knew. Oh, yes, right, wow!” – George Davis, Professor Emeritus (Creative Writing), Rutgers University, author of The Melting Points, and also of Coming Home, on which the movie starring Jane Fonda and John Voight was based. “Michael Carr has professional skills and artistic talents that proved invaluable in his work on my manuscript.… He was pleasant, prompt, and candid. It was an education and a pleasure to work with him.” – Robert C. Ankony, author of Lurps: A Ranger’s Diary of Tet, Khe Sanh, A Shau, and Quang Tri, nominated for the Army Historical Foundation’s 2006 Distinguished Writing Award. “Michael Carr is the finest editor I have ever worked with. His attention to detail, ability to choose the perfect word or phrase, and mastery of syntax and grammar is nothing short of remarkable. He truly made each sentence of my project sing with clarity and rhythm. Just as important, he provided ‘big picture’ feedback on the overall message of my book, saving me on multiple occasions from taking tangents that would have harmed my credibility and impact with the reader. I’m thrilled with the final product. Overall, a phenomenal experience.” – Brendon Burchard, author, #1 New York Times best seller The Millionaire Messenger and New York Times best seller The Charge.